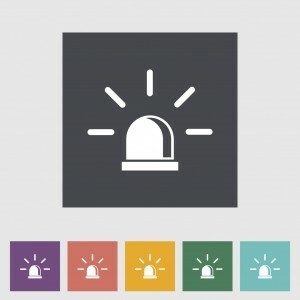 Emergency alert systems are a standard security feature of any large facility. From hospitals to universities to entertainment venues, emergency alert systems are critically important in alerting occupants to the presence of a security threat and directing them to safety. Equally important as the job emergency alert systems do is the minimization of the risk of failure of this system. A system failure can result in severe and immediate consequences, up to unnecessary loss of human life. As a result, building in redundancies and implementing other methods aimed at preventing failure is a critical component of any networked emergency alert system. In this week’s blog, we’ll talk about the components of a networked emergency alert system, and how they can be protected against failure. Redundancy is critical in preventing failure in an emergency alert system. Networked emergency alert systems exist on Ethernet networks that need to be both stable and reliable. This can be achieved by using the following protocols to create duplicate paths between Ethernet switches on the network so that in the event one fails, another is available. Fault relay output should also be built into the network and relayed to system staff via a notification system that continuously keeps tabs on the health of the network. For optimal performance, this network should be separate from other networks in order to leave bandwidth open. This can be done either physically or virtually using a virtual local area network (VLAN). Outputs are any component of the system that is outward-facing, i.e., anything that actually broadcasts an alert and makes it visible or audible. Failure prevention techniques for outputs include channel failover (setting up multiple channels), device failover (setting up channels in another device), and network redundancy (setting up multiple Ethernet ports). Loudspeakers themselves must also be equipped with a number of fail prevention methods. This includes speaker line monitoring, ambient noise compensation, and emergency message storage via flash memory. Inputs include components that staff use to make an announcement, such as a microphone. Many of these components, such as the microphone capsule, become more likely to fail over time, so their functionality should be assessed regularly. Redundancy should also be built into paging stations, meaning there should be 2 message distribution systems at each station, as well as at least 2 Ethernet switches. Servers store messages, keep time, schedule events on the network, network protocols, and more. A mirrored copy of the message sever should be created in the event that the primary server fails. Controllers allow the network to trigger other emergency systems such as a fire alarm, and redundancy should exist here as well. This entry was posted on Thursday, August 20th, 2015 at 1:28 pm. Both comments and pings are currently closed.